If you grew up in the San Fernando Valley, you know Stanley’s Restaurant. It was a local mainstay for 32 years. When I was in high school, my friends and I would meet for lunch at Stanley’s. One of my first jobs in high school, and after the first year in college, was as a hostess at Stanley’s. Ever since then, whenever I went to the valley to visit my parents or for an appointment (almost weekly), I would stop by Stanley’s to pick up lunch or dinner. And every single time, I ordered the Stanley’s Chinese Chicken Salad. 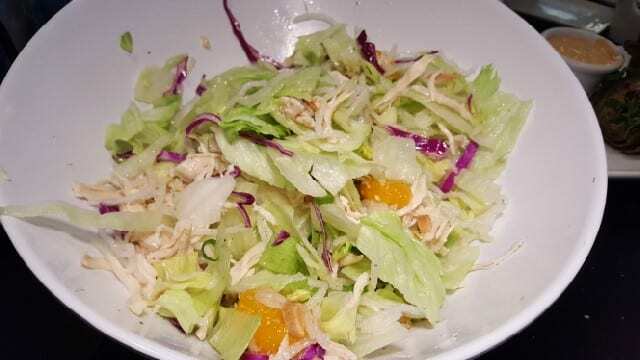 The salad itself was simple – iceberg lettuce, shredded chicken, crispy noodles, green onions, sesame seeds, and mandarin oranges. It came in a large bowl, and it was one of the first places I remember in Los Angeles in the 1980s offering big fresh salads in large open bowls. And, the sesame dressing, with its touch of sweetness, is what made the salad. 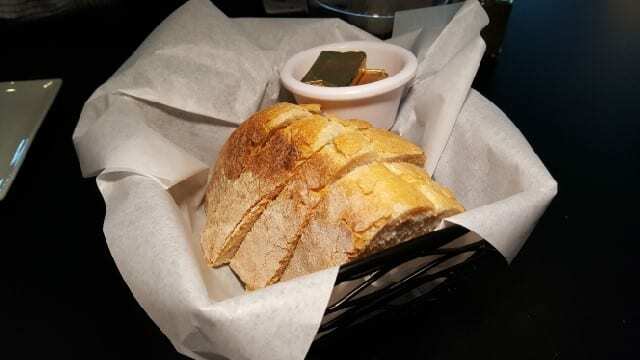 The other favorite was the sourdough bread with crunchy crust and soft middle that was served with all meals. Stanley’s was a staple in my life and I was really brokenhearted when they abruptly closed in August 2015. Boy I missed my Chinese Chicken Salad and it was as good as I remember it. The only change to the salad is the addition of almond slices which are a nice touch. And the warm sourdough bread is back as well! The new restaurant is located on the corner of Van Nuys and Dickens (a block off Ventura). The contemporary space is smaller than the original location but has a warmer feeling to it with dark gray tables and chairs and tall-back plush booths.The new menu has many of the familiar menu items but there are a few new items. From salads and sandwiches to pasta and pizza and more, there is something to please everyone. But for me, I will always stick with my Chinese Chicken Salad. This entry was posted in Food and tagged Chinese Chicken Salad, food, pick of the week, Please The Palate, Sherman Oaks, Stanley's Sherman Oaks by Allison Levine.